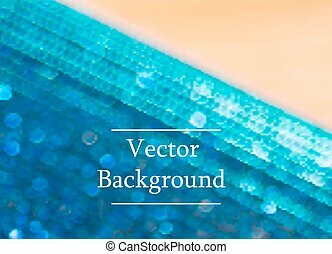 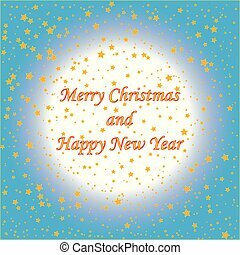 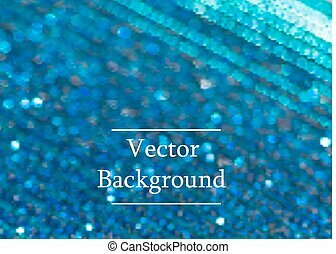 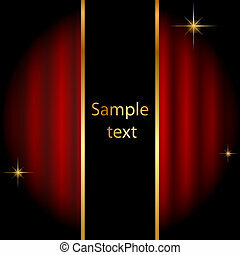 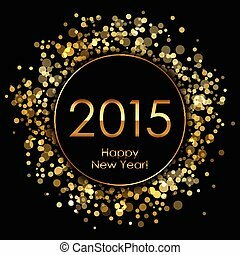 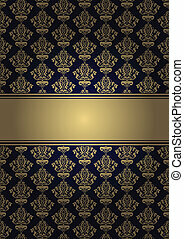 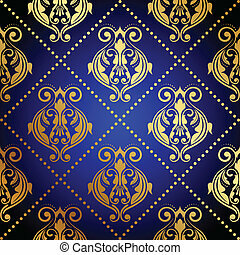 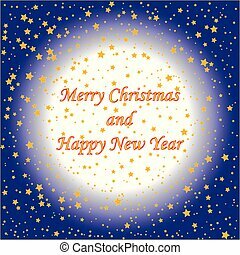 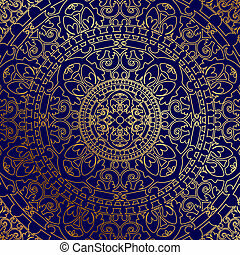 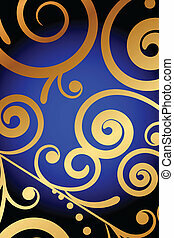 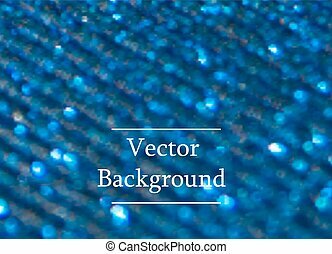 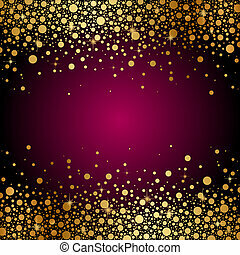 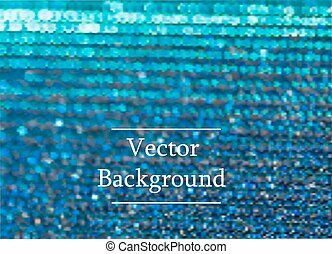 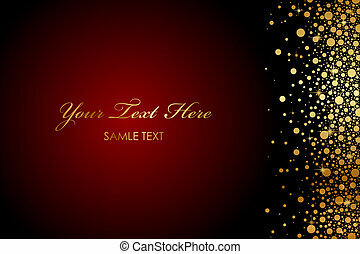 Vector blue background with gold sparkles. 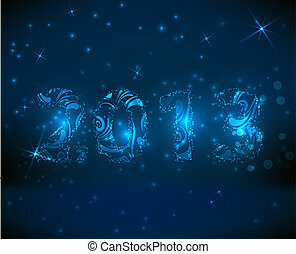 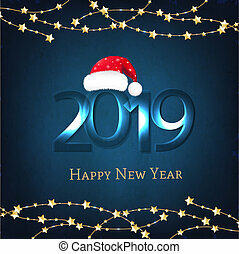 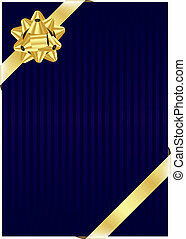 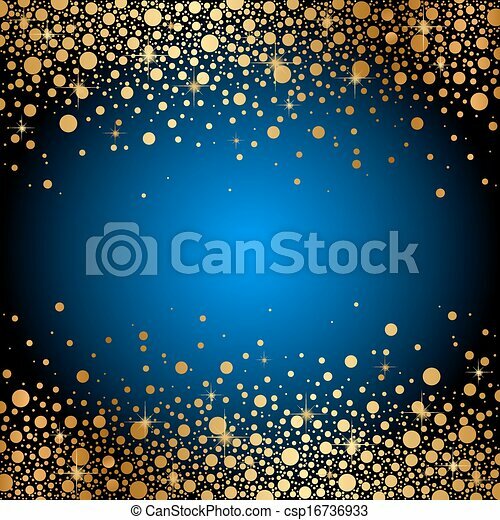 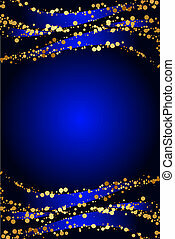 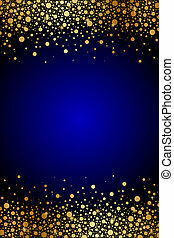 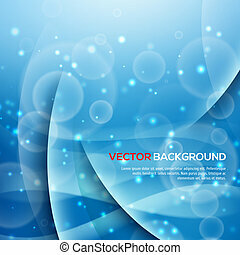 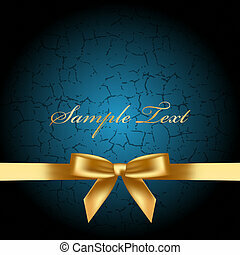 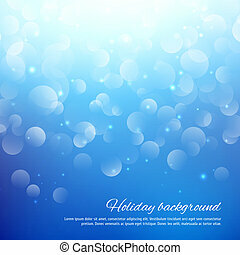 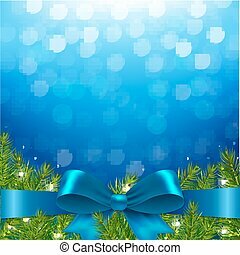 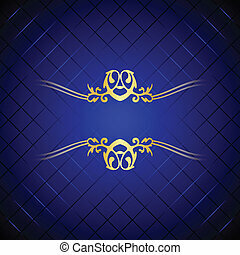 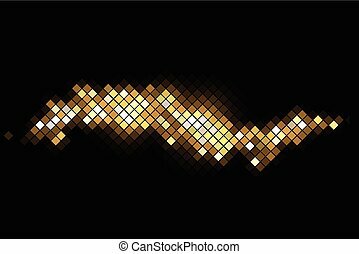 Blue, abstract, light background with gold stars. 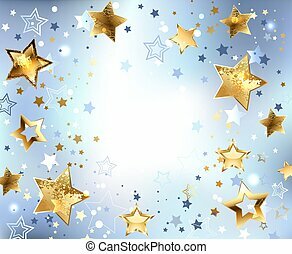 Design with stars. 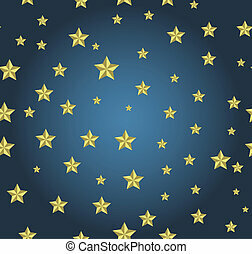 Golden Star. 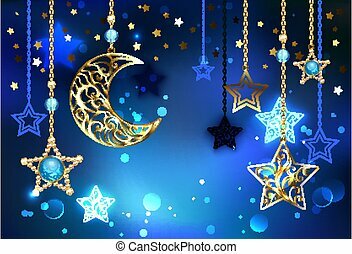 Gold, jewel crescent with sparkling, precious stars hanging on golden chains on luminous blue background.